The first of The Health & Happiness Collective has written on our topic, ‘Change’. Ananda, a brilliant naturopath and fellow lecturer at Endeavour College of Natural Health, has written about her passion for natural skin care. Why is natural skin care better? And why should you change your skin care? Ananda sums this up beautifully. Which is ideal when we are talking skin care and aesthetics. But don’t forget that your skin reflects your health and what you place on your skin can affect your health. And I have to agree completely with Ananda, changing my skincare (and makeup) over to natural products has not only been beneficial to my skin but is also far more luxurious given the delightfully aromatic natural extracts and essential oils they contain. Check out her must-read blog with five reasons to change your skincare here. 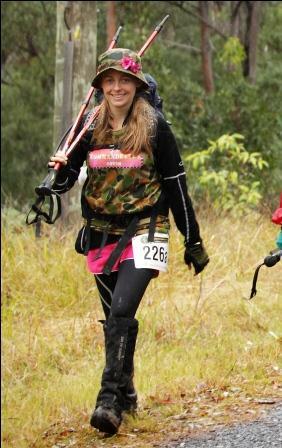 On the weekend, I knocked over The Kokoda Challenge (known as one of Australia’s most gruelling endurance events – 96km of big hills on the Gold Coast Hinterland, that must be completed within 39 hours), for the second time. Crazy? Yes, definitely. Was it easier the second time? Yes and no. Yes, you know most of the track and what to expect, your training regime should be sorted out, you should know your body well (and its weaknesses) and hopefully you’ve maintained some fitness from last time. And no, they change the track each year and add some new surprises (which are worse if you knew the easy bits they took out and replaced), conditions change – 50% of the track was coated with either slippery or sticky mud this year – much harder on the legs and lastly, maybe you lose a little bit of drive after completing it successfully before (a voice says, “you’ve done this before, there’s no need to get to the end, you have nothing to prove”). None-the-less, The Commandettes, crossed the finish line 3 hours ahead of last year’s time. Here’s my tips, as an acupuncturist, herbalist and massage therapist for getting your body across the line without relying on pharmaceutical pain killers and anti-inflammatories unless you really need them. (And for the record, I didn’t take a single pharmaceutical drug this year due to sticking to this plan). Please make sure that if you use the ideas listed below that you speak to a qualified acupuncturist or herbalist regarding the specific herbs and supplements and their dosages – everyone is different and herbal medicine is just that – a medicine – so treat the herbs with the same care you would with any other medicine. Start training well in advance of the event. Build up the pace and distance gradually. If you can’t train on the actual track, mimic the conditions as best you can. Besides building you up for the event, this gives you plenty of time to recognise weaknesses and prevent future injuries. Any niggle, should be assessed by a health professional (eg. physiotherapist, chiropractor or acupuncturist) as early as possible so you can work on fixing it. It’s common to need specific exercises for the core abdominal muscles and gluteals – great for knee and hip injury prevention. Swelling, pain, inflammation and muscle tension need to be treated as they occur too – see below. Get yourself onto a personalised herbal formula to prepare you to perform at your best. The particular herbs chosen for your formula will depend on how you have been pulling up on from your training and your overall constitution. Herbs such as Siberian ginseng and panax ginseng are excellent for endurance, stamina and energy, and even have high quality scientific studies demonstrating their effectiveness for athletic performance. Herbs such as gotu kola and ginkgo biloba may improve any blood circulation related problems (eg. golfer’s vasculitis, otherwise known as ‘Disney rash’) and may also be useful in healing connective tissue. If you aren’t already, now is the time for some weekly massages and/or acupuncture sessions to iron out any niggles from training – you want your body to be in tip-top shape for the event and not carrying around any left-over tightness which may predispose you to injury. Acupuncture may also be able to assist with your stamina and treat any injuries you have already sustained. The day before the event – see your acupuncturist again. They will be able to locate some points on your ears that correspond to different parts of your body. You will be able to press these points if your injuries begin to play up. I have seen many cases of excellent results with this technique. Ask your practitioner for dietary, nutritional and herbal tips for the event. Rehydration formula – take it regularly. What you sweat out will not be replaced by water alone. Magnesium is essential! A dose may be required at each major check point to prevent cramping, spasms and muscle tightness. Herbal anti-inflammatories – A dose at every major checkpoint and as needed. There are a lot out there including boswellia, turmeric, chamomile, horsechestnut, ginger and celery seed. Don’t forget your omega 3’s too – from flaxseeds or fish. If swelling is a particular problem, there are herbs specific to this. Stimulants. As needed. I can not speak more highly of Flordis Ginsana – a highly researched ginseng capsule. Nothing picks up my energy and my mood, more than the ginsana. It’s great for getting through the night. Otherwise, the caffeine and carbohydrate sports gels, if you can manage the revolting texture, work quite well too. Protein. Sometimes you just don’t feel like eating a lot during exercise. Protein powders are excellent at these times. I like the pea-based protein powders – they have just as much protein as the whey ones, but are great for those who want a vegetable based protein source or wish to avoid dairy products. Topical herbal anti-inflammatory and pain relieving cream or liniment. 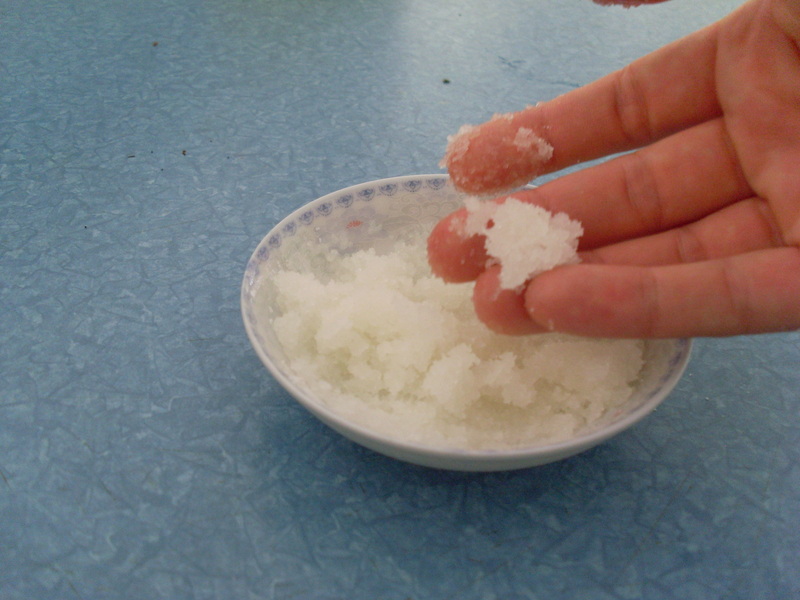 Have it on hand to rub into sore knees, aching hips and other injuries as needed. Why not sweet talk your support crew into giving you a shoulder rub with it at the check points? The best part: Soak in an epsom salts bath. Relief. Bliss. 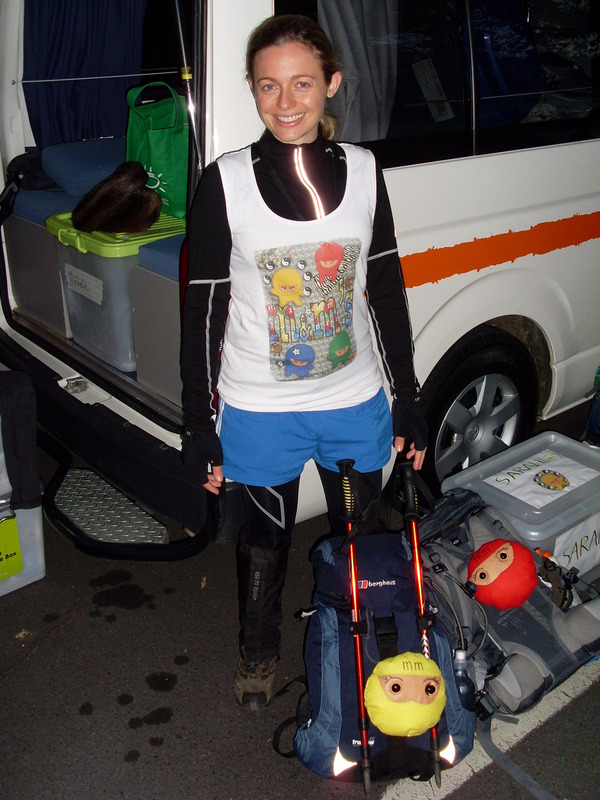 There are many different ways to complete a 100km endurance event. I have seen this combination work well for many people undertaking athletic activities. If you are undertaking such an event – good luck! Is camping the new miracle health cure? Well, I’m not one for miracle health cures but I do strongly believe that camping is one way to revitalise the body and soul. And it’s certainly not a new way to do so either. Although recently, this relatively cheap way to take a short break from the stresses of modern life has enjoyed a resurgence in popularity. 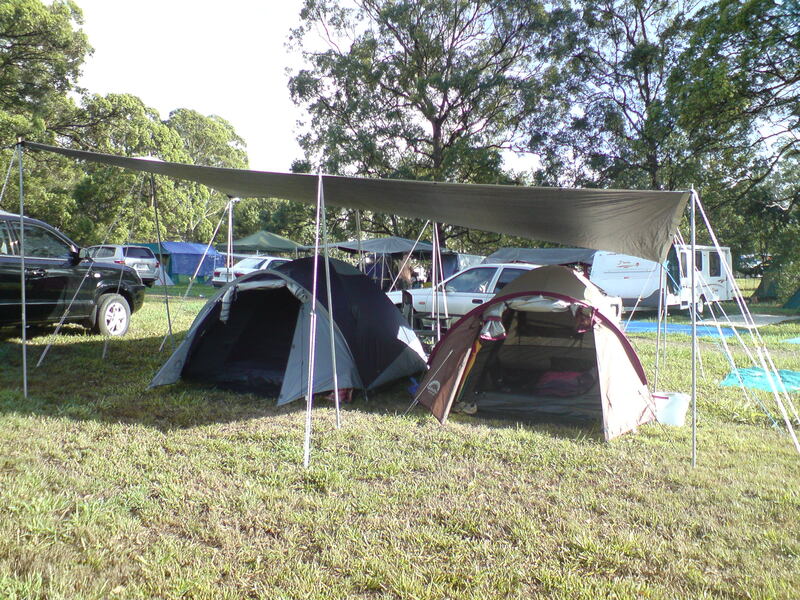 So, given that the peak camping time, the Easter holidays, is approaching, what do so many people have to gain from packing up their car and heading out to sleep under the stars for a few nights? Getting out-of-town and into nature, whether that’s in the bush or by the beach allows you to breathe fresh air. It’s something that you don’t realise you have missed until you get out of the city. There’s also something very peaceful about being surrounded by nature – whether that’s big trees, mountains or the ocean. And then there’s the refreshing sounds of bird calls, creeks bubbling or waves crashing. There’s no doubt that going camping means back to basics and that means leaving the modern conveniences at home. Fetching water for the washing up, then doing the washing up by hand, pitching a tent and taking a walk to use the facilities, all get your body up and moving more than you would at home and that’s a good thing. And that’s just the incidental exercise. Add to this the great activities being in nature gives us access to – hiking, climbing, swimming, canoeing and even playing bocce. Without lighting from electricity, our body clock very quickly matches up with that of the sun. I’m sure every camper can relate to the feeling of sleepiness as they stare up to a clear, starry sky at 7.30pm, when they swear it must be 10.30pm. On the flip side, with that early night under your belt, an early morning start seems so much easier. It is a fabulous way to start the day with a view of the sunrise while enjoying a cup of freshly brewed soy chai. I usually always sleep very well when I’m camping but that does depend on a few things – make sure your bedding is warm and comfortable. Bring ear plugs if you are a light sleeper. And set your campsite up securely to protect you from rain and wind (flapping tarps and water in your tent won’t help your sleep at all). Hello peaceful sleep. If the active part (hiking, swimming, exploring etc) of your camping day is in the morning, then the afternoon can be for relaxing. And it’s so easy to do when you are in a peaceful environment away from the chores of home. All you need is a camping chair, a camp fire, fine company and a good book. Add to this the escape from mobile phone reception, TV and many other electrical devices and life really does slow down. If you’re really feeling indulgent you can even pop off for an afternoon nap. Ahhhhhhhhh. The phrase ‘happy campers’ was coined with good reason. Research has shown that time in green spaces is good for our mental health. Spending time with good friends gives us a sense of connection which contributes to our happiness. Physical exercise, which is unavoidable while camping, also has a positive association with the mood. So, when’s your next camping trip?